Compact cameras come in many different shapes and sizes; after all, the term theoretically applies to any camera without an interchangeable lens. So everything from the humblest little pocket point and shoot to a monster superzoom is considered a compact. The capabilities obviously vary depending on each model’s intended market and its specialisation (if any). Canon’s IXUS 1000HS is small enough to fit comfortably into a pocket, it’s good looking and priced at the higher end of the mid-range, it offers a decent zoom without getting carried away and it offers little access to manual settings. So it’s safe to say that it falls into the premium, high-zoom, non-advanced pocket compact category. Breaking down those qualifiers in some more detail, the 1000HS has a slim metal body and with its silver finish, elegant shape and chrome highlights, it really is a bit of a looker. Despite the 10X optical zoom lens, the front of the camera is as flat as a supermodel, which enhances its ability to slip into even a slim dress, I mean pocket. Far more zoom is available out there but the form factor inevitably expands until you’re looking at something in the small DSLR arena – the 1000HS is therefore in a sweet spot in terms of its zoom vs. size ratio. You have to rob Peter to pay Paul to get all that zoom, however, and a major compromise is apparent as soon as you fire up the camera for the first time. Take a look through the LCD and you can’t miss the fact that the wide-angle aspect of the lens isn’t all that wide; in these days where 27mm and even 24mm wide-angle compacts are commonplace, this 36mm wide-angle is disappointing. Most users will spend more time at the wide end of the lens, trying to cram in all their friends, or the width of a holiday beach or an exotic street scene. They generally won’t be zooming out to the full 10x range as often, so it strikes me that Canon should rather have gone for a 27-270mm range, rather than the 36-360mm range implemented here – this would have made for a more useable and balanced camera. To Canon’s credit, the sensor has been kept to a manageable 10 Megapixels. Why manageable? Because throwing any more pixels at tiny compact camera sensors leads to image noise at higher ISO settings. Canon changed the way I think about compacts cameras with the PowerShot G11 and S90 units, along with the later G12 and S95 models. Compared to the 14+MP G10 I used to own, the 10MP sensors in these new generation cameras are a wonder, with low noise at unfeasibly high ISO settings, which adds dramatically to the overall capabilities of the camera. Like most modern compacts, the 1000HS has a mass of scene modes to take care of most eventualities along with a number of filter modes. They’re mostly quite effective and can even lead to some amusing results – the fish-eye and miniature effects are a lot of fun when used properly. The 1000HS also boasts full HD video. Where many compacts offer 720P or 1080i, this one goes the extra mile and gives the user the ‘full monty’ 1080P version. The 230,000 LCD screen is bright and clear enough, but I’m getting spoiled by the high res and AMOLED screens out there, which are super bright and clear. It’s probably expecting a bit much to have a high res screen on a point and shoot, regardless of its price point. There’s not much in the way of user interaction on the 1000HS. A top mounted slider gets you access to auto, programme and video modes, while three buttons and a rear control dial cover the rest of the options. A strange touch is the lack of legends around the rear dial. The cheat sheet comes up every time you turn on the camera and you do get used to the layout in a hurry, but it’s not really all that instinctive and new users may find themselves befuddled for a time. The menu system is simple and clear, broken down into two main sections, which won’t baffle anyone. The 1000HS is slow to start up, which is annoying, because I often find myself shooting at very short notice and don’t want to wait for the camera to find its feet. I harassed Nikon’s Coolpix S8000 (review here) for its slow start up and feel the same about this camera. If you’ve never worried about how quickly your camera is ready to shoot, then this won’t worry you, but if you’re a speed freak, then beware. The auto-focus speed also felt a little slow, but there was little to no hunting back and forth unless the subject displayed very low levels of contrast. The 1000HS does shoot quite quickly in continuous mode though, running off a realistic and sustained shot a second with impunity, while the zoom speed is quick enough to make even an old grump like myself happy. There’s very little to complain about in terms of image quality, which is common to all of the Canon compacts I’ve reviewed with the 10MP sensors. The 1000HS doesn’t have the bigger sensor found in the PowerShot S95/G12 models, which is all the more reason for it to have limited pixels on its tiny surface area. The results are excellent all round. Detail levels and resolution are as good as you could hope for in a compact, especially when balanced against the excellent low light/high ISO performance. The 1000HS isn’t as accomplished as the S95/G12 in the regard but it puts on a very respectable show. There’s some noise to be seen at the maximum ISO of 3200, along with a smidgen of softening, but I’d have no hesitation showing off images taken at this setting because you have to look closely to find anything that could be considered offensive. Below that lofty setting, all is wine and roses, and the images have minimal noise. Colour rendition was excellent, as was the white balance and exposure, regardless of the subject. This is one area that Canon has really dialed in to a very high level. So you can just shoot and be quietly confident that the camera will do its job as long as you do yours, which is handy in a point and shoot camera. On the downside, the battery life isn’t all that impressive. ; the 1000HS has a strange little battery, (much like a triple in a plastic case) and it had to be charged a little sooner than is usual with compacts. In fact, Canon’s specification claim only 150 shots on a charge. Battery life depends on how much you use the LCD to review shots, so your mileage may vary, but bear this in mind if you’re looking for a camera with a deep tank. The full HD video quality is very good for a compact: highly detailed, with clear sound (in narrow stereo thanks to the closely-spaced microphones). The full zoom range is available in video mode and it’s dead quiet, with no mechanical whirring to be heard. 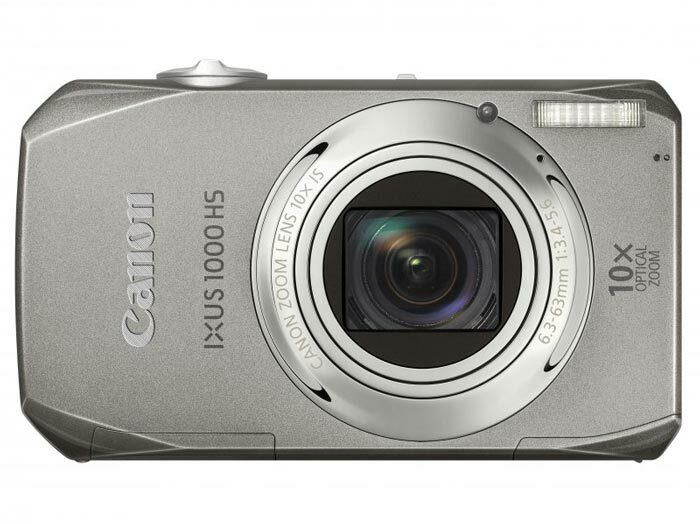 Canon’s IXUS 1000HS is a good camera that could have been an excellent camera. Like every Canon I’ve used in ages, it functioned with absolute reliability during the test and it’s likely to do so for a long while. The image quality is something to behold, which is as it should be – this isn’t always the case with compacts. The high ISO performance and video quality is also way up there. I can’t get past the slow start up speed, slow auto-focus and the narrow angle at the “wide” end of the lens. I had a Canon SX30IS in for a review at the same time as the 1000HS and the SX30IS’s 24mm wide-angle lens really is wide. Look at the same scene through both cameras and you’ll be left wondering how you can live with the 36mm angle on the 1000HS. In isolation, it’s not so bad but at some point, you’ll be cursing. Try it out in store and see if you think it will matter. I think it does, which is why Canon’s premier IXUS gets only three and a half stars instead of the four it otherwise deserves. 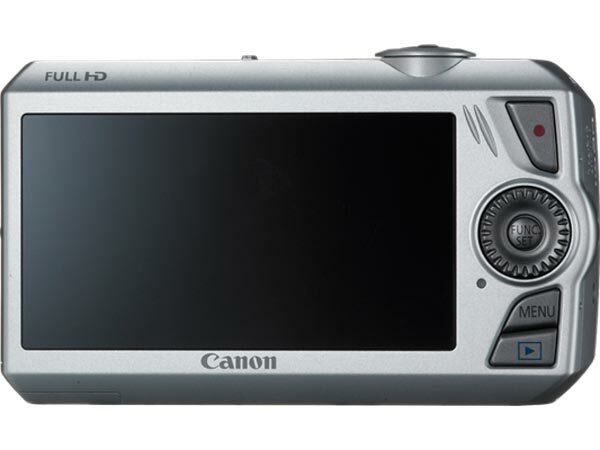 There’s no doubt in my mind that I’d rather pony up the extra loot to get a Canon Powershot S95, even with its more limited zoom range, because the S95 is as good as a small pocket compact gets. So check out both models and see which you prefer.